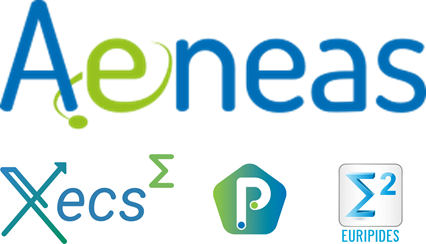 AENEAS is an Association, established in 2006, providing unparalleled networking opportunities, policy influence & supported access to funding to all types R&D&I participants in the field of micro and nanoelectronics enabled components and systems. In 2008, AENEAS is named as private member of the ENIAC-JU Governing Board and is thus the official voice of micro- and nanoelectronics organisations in the programme. In 2014, with the successful completion of the ENIAC-JU, the ECSEL-JU is set up to adress the entire ECS value chain. Three private members of the ECSEL-JU Governing Board are identified: AENEAS, ARTEMIS Industry Association and EPoSS. In 2015, the Association's scope is expanded to cover the whole ECS Value Chain. The remaining office tasks of the EUREKA Cluster CATRENE are entrusted to AENEAS. The management of PENTA, a new EUREKA Cluster on micro- and nanoelectronics enabled systems and applications, is delegated to AENEAS. The object of the Association is to promote research, development and innovation in order to strengthen the competitiveness of European industry across the electronics components and systems (ECS) value chain. AENEAS is open to all European key players in the value chain, such as large industry, Small and Medium Enterprises, research institutes, academia, and associations. Currently nearly 220 organisations are registered as members of the Association. EPoSS, the European Technology Platform on Smart Systems Integration, is an industry-driven policy initiative, defining R&D and innovation needs as well as policy requirements related to Smart Systems Integration and integrated Micro- and Nanosystems. EPoSS is contributing to EUROPE 2020, the EU's growth strategy for the coming decade, to become a smart, sustainable and inclusive economy. mobilise public and private human, infrastructural and financial resources. The initiative is of immediate importance in view of defining research and technology priorities for the "Horizon 2020" programme - the EU Framework Programme for Research and Innovation, for raising more critical mass and resources and for coordinating between different initiatives (national, regional, EUREKA, European public funding, and industry). ECSEL Joint Undertaking: the Public-Private Partnership keeping Europe at the forefront of technology development. Electronic components and systems (ECS) are a pervasive Key Enabling Technology, impacting all industrial branches and almost all aspects of life. A smartphone, a smart card, a smart energy grid, a smart city, even smart governance; everything “smart” is based on integrating semiconductor chips running embedded software. They provide the fabric on which the internet runs; they give life to portable phones and tablets; they drive driverless cars and trains, fly airliners, drones and satellites. In modern times, no national economy can win in the global competition without mastering this technology, with unparalleled systemic and strategic impact. Build a dynamic ecosystem involving Small and Medium-Sized Enterprises (SMEs), strengthening existing clusters and creating new clusters. Three associations (EPoSS, AENEAS and ARTEMIS Industry Association) representing the actors from the areas of micro- and nano-electronics, smart integrated systems and embedded/cyber-physical systems. The European Commission is the executive division of the European Union, which takes decisions on the Union's political and strategic direction, while promoting its general interest. The European Commission is structured into Directorates-General (DGs) which are responsible for developing policies for specific areas. DGs develop, implement and manage EU policy, law, and funding programmes, in addition to dealing with particular administrative issues. One of the main pillars of the European Commission is the Directorate‑General for Communications Networks, Content and Technology (DG CONNECT). It is the division responsible for conceiving and implementing the policies required to create a Digital Single Market in Europe, for more growth and jobs, where citizens, businesses, and public administrations can seamlessly and fairly access and provide digital goods, content and services. The Digital Single Market strategy, identified as one of the Commissions 10 political priorities, aims to open up digital opportunities for people and business and enhance Europe's position as a world leader in the digital economy. DG CONNECT is responsible for implementing the EU Horizon2020 Research and Innovation Programme in the field of ICT. Amongst the policies developed and actions taken are the current measures to Digitise European Industry, which will help companies' large and small, researchers and public authorities to make the most of digital technologies, such as micro/nano electronics and integrated microsystems, to name a few. EUREKA is a publicly-funded, intergovernmental network, involving over 40 countries. EUREKA’s aim is to enhance European competitiveness by fostering innovation-driven entrepreneurship in Europe, between small and large industry, research institutes and universities. By doing this, EUREKA concentrates the existing potential of experts, of knowledge, research facilities and financial resources in a more efficient way. EUREKA is constantly proving its value through a wealth of success stories – innovative products, processes and services that have been launched onto the market over the last 30 years, creating additional turnover and jobs for European companies, small and large – and by supporting the internationalization of businesses with innovative ideas. EUREKA is a leading open platform for international cooperation in innovation. It is present in over 40 countries and remains to this day the only initiative of its kind committed to the ‘bottom-up’principle - ensuring that any R&D project with a good business plan receives the support it deserves, independent of its technological nature, or the type of organisations involved.